Posted On Tue, 04 Dec 2007 01:33:00 +0000. 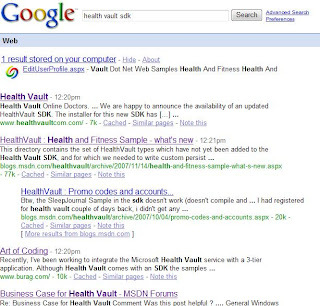 Filed in HealthVault. By Vaibhav Bhandari. 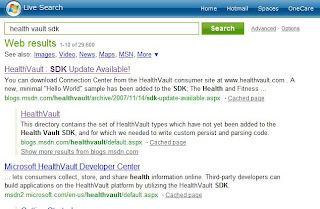 A simple search “health vault sdk” in google does not give the health vault sdk site in first few results. Apparently some other properties has a higher page rank and are thought do be more relecant. 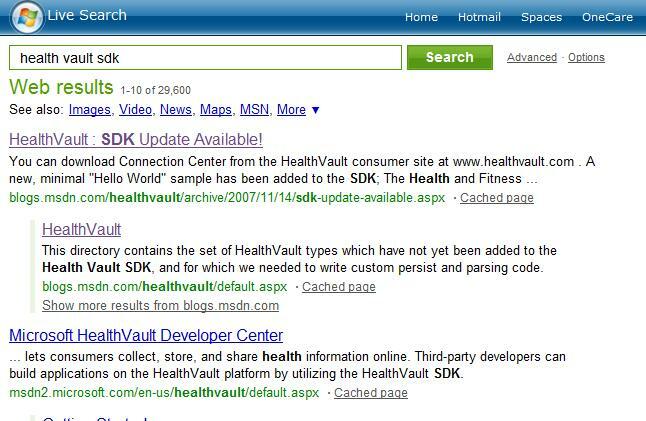 Also Live Search thinks that the health vault blog is more relevant in case of “health vault sdk” than the corresponding SDK page. One way the blog can feed in to MSDN is by having links for it. Any opinions from the SEO gurus?